As threatened in the taking the Sound Floor post I am going to write about my current views on the labels. My system has been in too much flux to give accurate sound reviews, but was stable and broken in until just recently. I was able to get in some decent listening before doing the big upgrade two days ago. I'll need to work on EMI pressing matrix soon. The commentary below (MW) will include my thoughts as well as those of my co-blogger, Aqlam (AQL). MW: The originals are not bad with good bass. Aqlam and myself like many in the CS 6200s particularly. They have nice timbre and good bass extension, but not the most control. They can have decent noise floor performance. I've listened to some of the Salvatore favorites in the latter Decca's and they have better noise floor performance, but still not fantastic in my book. On my system they are plagued with hints of a somewhat recordy sound. I need to listen to a few of these on a friend's Quad system that has brought new midrange life to the related Lyrita label which I'll discuss next. AQL: London/Deccas can sometimes be a mixed bag, but overall they are excellent. 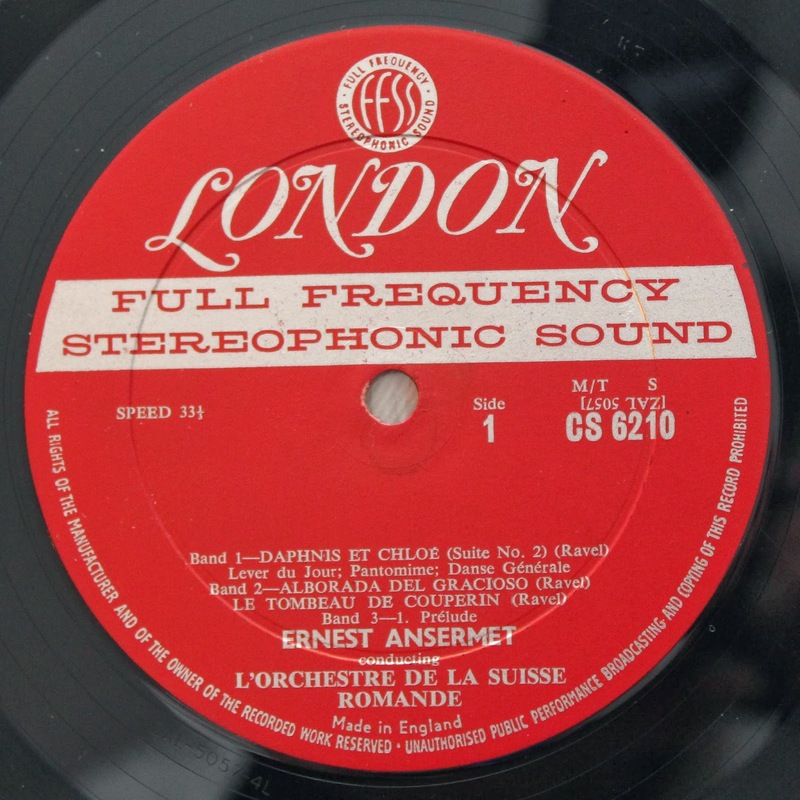 The earliest London/Deccas didn't have the greatest clarity and dynamic range and were sometimes plagued with bright treble, weak bass, and distortion. There are a few exceptions to this, such as Fjeldstad's Peer Gynt with the LSO and Argenta's Espana album with the LSO. 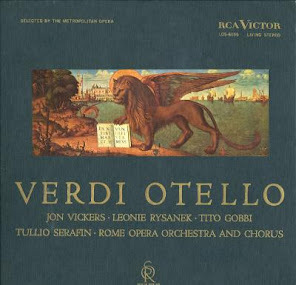 What is interesting, though, is that the later reissues (wide band FFRR as opposed to wide band FFSS, even the Stereo Treasuries) of some of the earliest London/Deccas can sound finer that the originals. Yes, it's true. I've done several A/B tests and have concluded for myself that original is not always better. Salvatore agrees with this entirely. Distortion, if present on the original, is generally absent on the reissues, and the treble is less pronounced with deeper bass extension. Mid- to later Deccas as MW alluded to are often more pleasing to the ear. MW: We need to get back to these and I've got a boat load of Lyritas on hand. At this point I am now favoring Nimbus pressings (best noise floor) with EMI pressings a close second (good noise floor too, but perhaps a touch bright). The Decca pressings have good midrange, but all but the latest have that recordy sound alluded to above. What blows my mind is that the Decca pressings, which were also recorded by Decca engineers, do not sound like Decca recordings. This needs to be investigated. The Lyritas are consistently good and might be the best label on average, but none of the records achieve greatness -- just ask maestro Salvatore of Supreme Recordings fame. A friend's quad system has really done a number with Lyritas in the midrange. They have been very, very good in this department. I need to get to the bottom of what the Quad system is doing to give a fair evaluation (and try to get that sound on my own system). At this point, on Quads the Lyritas are a bit more special and they may deserve more credit from the maestro and here. AQL: I'm in agreement with MW here. 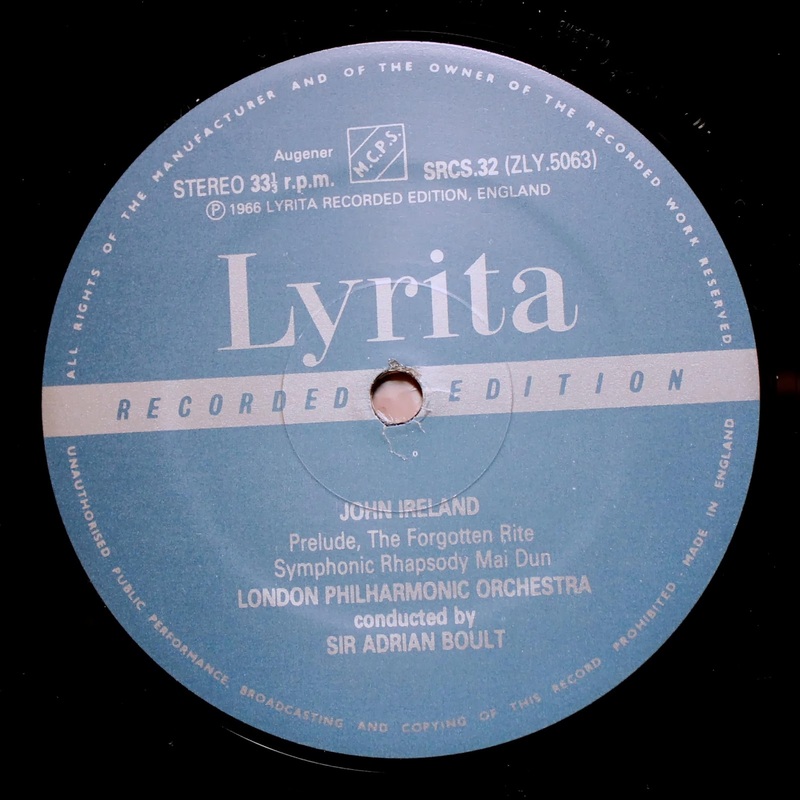 I haven't done much experimentation with the different Lyrita pressings, so I can't comment as much as MW. What has always impressed me with Lyritas is the super quiet surfaces, huge dynamic range, exceptional clarity. I haven't found a Lyrita with sound quality that I didn't covet. The CD transfers are no slouch either and seem to preserve these qualities. Repertoire is pretty much focused on 19th and 20th century British music, but it's fine music, so who cares? MW: Golden era RCA (1958-1963) and the audiophile reissues are the best pressings. Unfortunately, most of these have poorly controlled bass and not much of it. The best were originally recorded by Decca. And, the RCA UK LSB pressings were Decca pressings (it would be fun to hear a LSB of a Decca recorded RCA, if such an animal was released). These records have great timbre ("living strings") and many have hints of decent noise floor performance like the early Decca. So, they are competitive with Decca with sometimes better timbre. Acoustic Sounds has some new reissues coming out which I'd like to hear. The Classic Reissues get a lot more bass into the picture with more bass control, but clearly the master tapes are the limiting factor. The Classic Reissues did not achieve much in the noise floor department. I hope the new Acoustic Sound reissues improve this. I believe they will be quite a bit more dynamic in the bass. AQL: I started my record collection 13 years ago hunting down Living Stereos in used book stores and online. I've had the opportunity to own or listen to almost all of them from the golden age (having avoided most of the Dynagrooves) and can say that they are also a mixed bag. 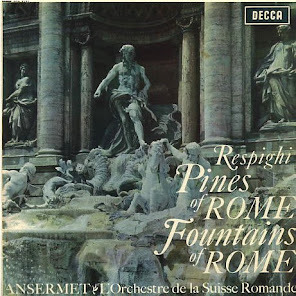 There are some really exceptional ones (Reiner's Also Sprach Zarathustra, Fiedler's Gaite Parisienne, The Reiner Sound, Reiner's Iberia, Munch's Daphnis et Chloe, etc) that continue to knock my socks off when I listen to them now. Many of the rest, though, have decent but not exemplary sound. The great ones have an incredibly natural sound with very nice hall ambience. Like MW, I would like to test out the Acoustic Sounds reissues, which Jonathan Valin has raved about. The price of these is quite variable on Ebay, too. 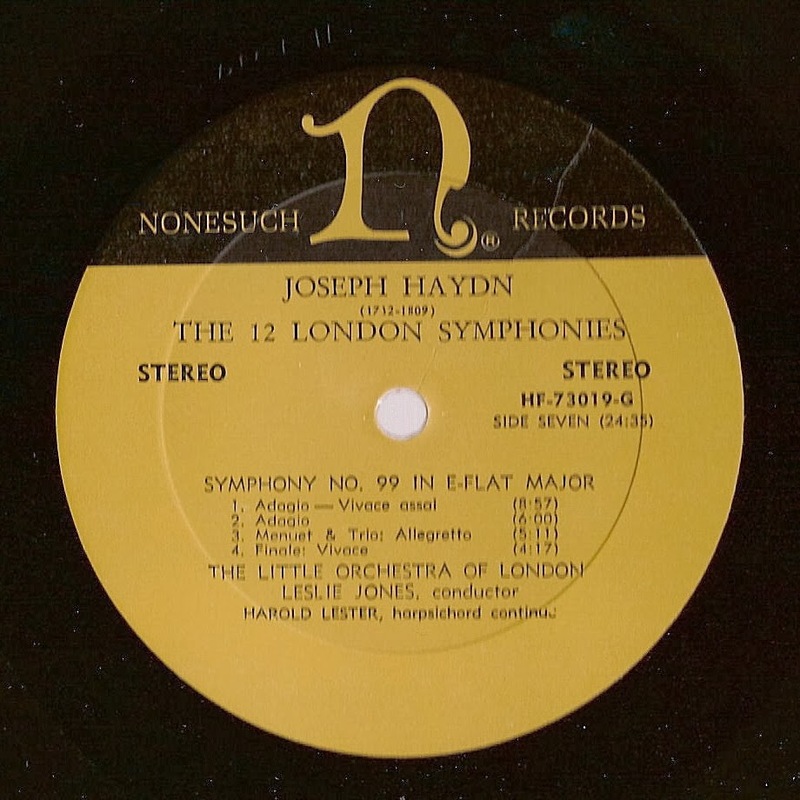 Powerhouse records tend to still sell for a lot (when was the last time you saw an original Royal Ballet Gala sell for less than several hundred dollars? ), though there are several diamonds in the rough that you can find for a bargain. I just got a fantastic copy of LSC-2282, Munch conducting Debussy's Images, for under $20 shipped. So, if you are patient and look, you will find. MW: Easily the fairest label of them all! I've got quite a few pressing comparisons to do once the system stabilizes. At this point I will say this. EMI master tapes have the most controlled and extended bass of any major label. On a well done system they just soundstage better with good toe tapping bass. On noise floor the label as a whole is tremendous. The original vintage pressings on Columbia SAX and EMI try in this department. The semi-circle ASD achieves a very nice controlled bass and better sound then the gold and cream as the musical line is more involving. The Magic (Notes) SAX is not very good overall while the later Notes (in a box) label can be better, but veers towards brightness. The EMI SXLP and CFP reissues of the Columbia SAX material are a safe bet. You don't really start to get the great noise floor performance until the seventies pressing and recordings. Many of the reissues of the vintage material have much better noise floor performance and handily exceed even the London reissues of their golden area material. You'll never make it to noise floor nirvana, but add the excellence (tube dynamics) of this vintage material and you really have something quite nice. The interesting period to me are the early 70's recordings along with some of their reissues. The Rostropovich Lutoslowski is a Salvatore Demi-God and should be on the cusp of his top Divinity category. The bass control and superb noise floor yield amazing sonics and soundstaging. The Poulenc Organ Concerto on ASD from this period is another strong performer with a wonderful bass foundation and strong noise floor performance (and a no show on the Maestro's list unbelievably). The later pressings even into the mid-eighties of any EMI material are strong contenders too. I've got to do much sorting out of this excellence. The ugliest EMI reissues are from the Electric Recording Company. So beautiful, but such an ugly price ($500). I've been researching the recording technology used for EMI, but have little on LP mastering. The Electric Recording Company's 1965 lathe and chain is very interesting and might be an awesome choice for preserving much of the vintage flavor of these earlier recordings. 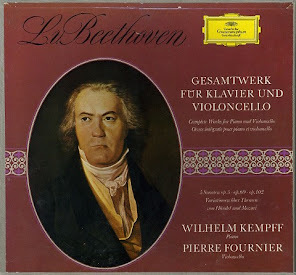 I doubt their Beethoven Kogan sounds the same as the original (its probably better). All the same I am leaning towards the 70's and early 80's pressings for their superior noise floors. I also am very partial to semi-circle ASD, to which a 1965 lathe might be closest. I have great hopes except the price of admission has nearly dashed them. An ugly business decision that may spark quite a bit of enmity given that with the stereo issues Electric Recording Company could probably sell many more copies than the 300 copies at $500 each. I suspect they will make their money if the product delivers. Perhaps there success will spark improvements in reissues that will filter done to more sanely priced product lines. I hope I run into a well healed audiophile who has a few. AQL: I've already commented a bit on EMIs in my ongoing review series of the Columbia SAX records and the EMI ASDs, so I'll keep things short here. MW loves these records, and he has good reason. Many of them are of excellent quality. 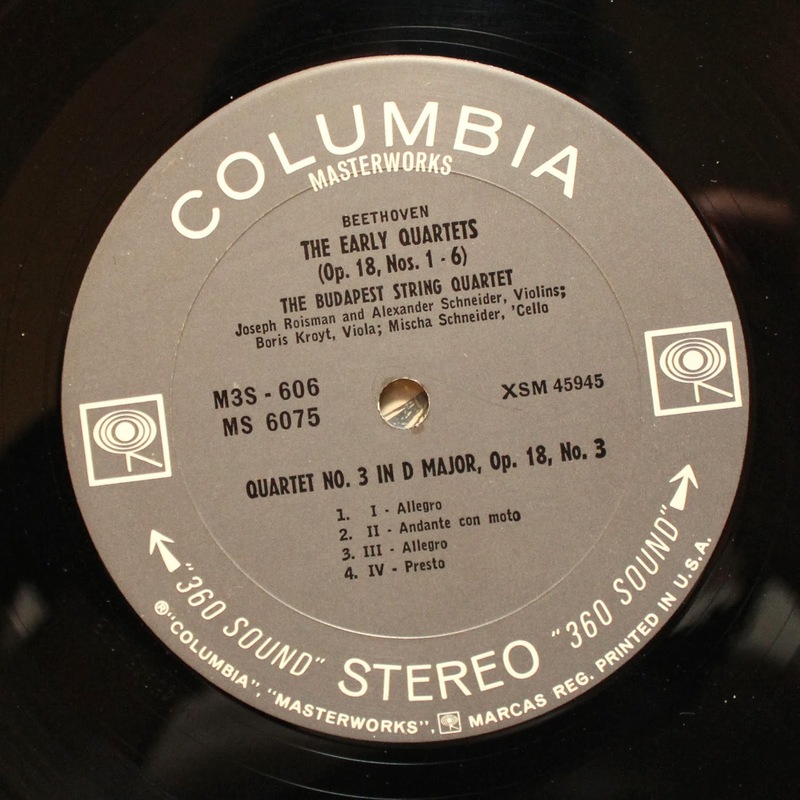 Many of history's greatest interpretations of classical works were recorded for EMI, and the artist roster had dynamite name after dynamite name. That being said, Columbia SAXes are a mixed bag, and in my honest opinion, their prices have been grossly overexaggerated on Ebay and the dealer market. Here, sound quality absolutely does NOT parallel price. I have listened to over 100 of them. Some astound, others disappoint. It has more to do with rarity, and then perhaps some degree of collector insanity. They are cool to look at and have very fine covers. I was on a George Szell buying spree last year, thinking that there was something really exceptional about the SAX issues as opposed to the US Epic ones. I was wrong. There is no difference. The Epics cost you $1-5, the SAXes $100-500+. Like MW, I learned (the hard way) that some of the later reissues, SXLP and CFPs, can sound absolutely wonderful and often better than the originals. They are 1/100th the price at times and will save you money to buy more records, which means more good music to listen to. EMI ASDs are probably better on average than the SAXes and have a more extensive catalog. White/gold first pressing vs semi-circle second pressings vs postage stamp laters pressings is always a collector's question. There is no right answer to this. Different people will also have their own opinions of which is the best pressing. There are some superb white/golds and some that are horrible (many of the early Beecham ASDs). I own several semi-circle reissues of white/golds that I cannot imagine sound inferior at all to the originals. To make matters more complicated, there are postage stamp reissues of the white/golds and semi-circles that also sound superb. Again, the Beecham early ASD recordings are given much better sound on these reissues, so I would certainly not discount these. They are also far cheaper and will not burn a hole in your wallet. MW: Many of these populate the top echelons of Salvatore land. The pressing variations are much like Lyrita in that they are all good and no one knows which is best (sorry, I've got a ton of these but my pressing variation is lacking). They are deserving of their high marks, but this label is too minor to be Fairest of them all. Salvatore would probably rate it so, but I suspect with further listening of my collection I will have unearthed a murder's row of EMI that will easily eclipse this label. Harmonia Mundi has very, very interesting recordings with even more interesting sonic pedigrees. AQL: MW has the advantage here. I've only really listened to Harmonia Mundi CDs, which are some of the finest digital recordings out there right now. I will have to land some of the LPs to be able to make more informed comments. MW: I've got the Salvatore Demi-God Debussy Images, but it doesn't quite hang with the top EMI's. There are nice later Dutch pressings of Mercury (Golden Imports) and some London material. Alleged weak bass on the whole for these pressings. I've been listening some to these, but overall not one of the top labels, but close. AQL: I've been a long time fan of Philips for their super quiet surfaces and very clean, dynamic sound. Only recently did I begin to understand a little more about the different Philips pressings. The coveted ones have typically been the early Plum Hi-Fi stereo labels, though I suspect this is more of a collectors' preference. Some of these can sell for a decent price, but they never reach the stratosphere of the collector's market like Deccas or EMIs. 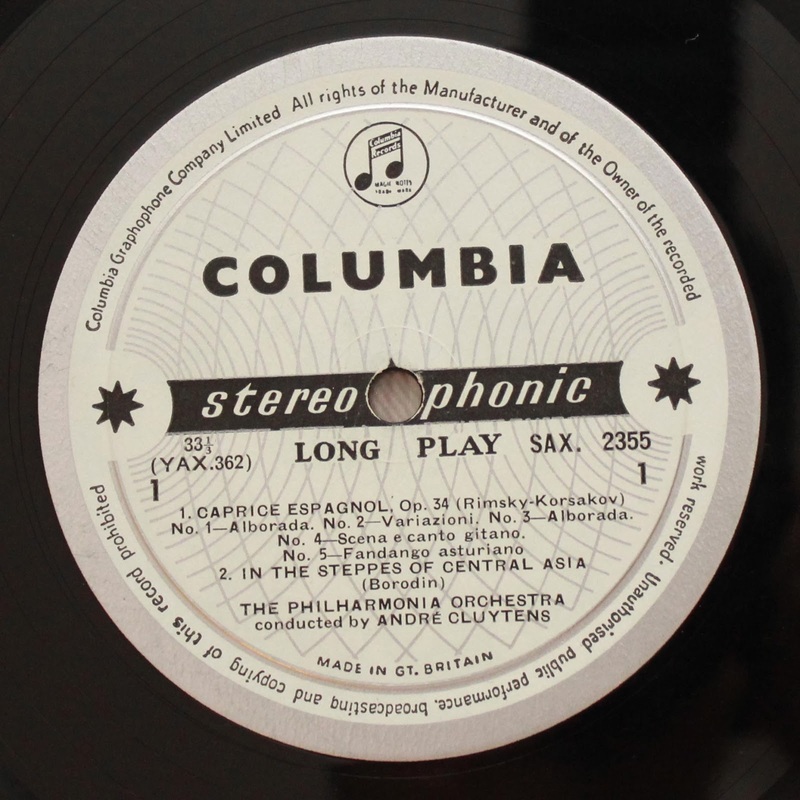 Some of them were European issues of US Columbia records with frequently different covers. I thought there might be some improvement in these Philips issues, but in fact, I have once again been disappointed in this regard. They do not sound better than the US Columbia records and may even sound a little worse. They are certainly NOT worth the extra price. Just find the analogous Columbia 6-eye or 2-eye recording, and you will most likely be pleased, especially since you will have paid 50 cents to $5 rather than $30-100. Some of the later Philips are highly sought after for their performers. The recordings of Arthur Grumiaux, Henryk Szeryng, Ingrid Haebler, Clara Haskil, and so forth can sell for a lot of money. They are beautiful recordings and very nice sounding records, but do yourself a favor and don't spend more than $10-15 on one of these LPs. Better yet, buy them as a boxed set (e.g. Szeryng's Mozart violin concertos, Grumiaux's Bach Sonatas and Partitas) and you get more music for a better deal. 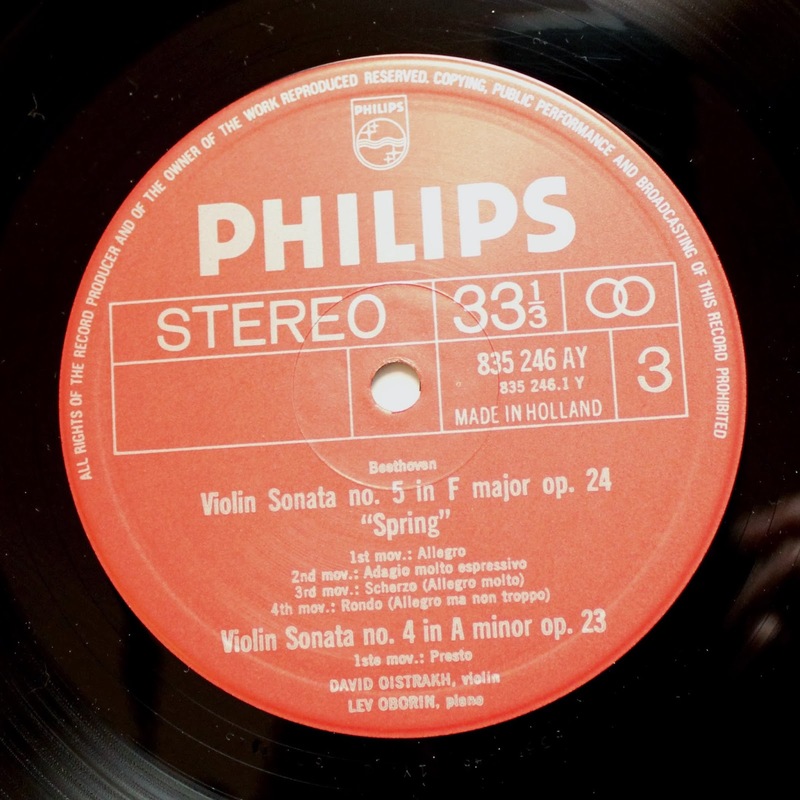 Some of the outstanding Philips recordings are the ones that don't sell for much. I'd say that the Haitink Debussy recordings are a must hear (MW and Salvatore agree). These go for cheap. MW: The original FR pressings were done by RCA and offer the most beguiling sound. RFR color back is not bad too. 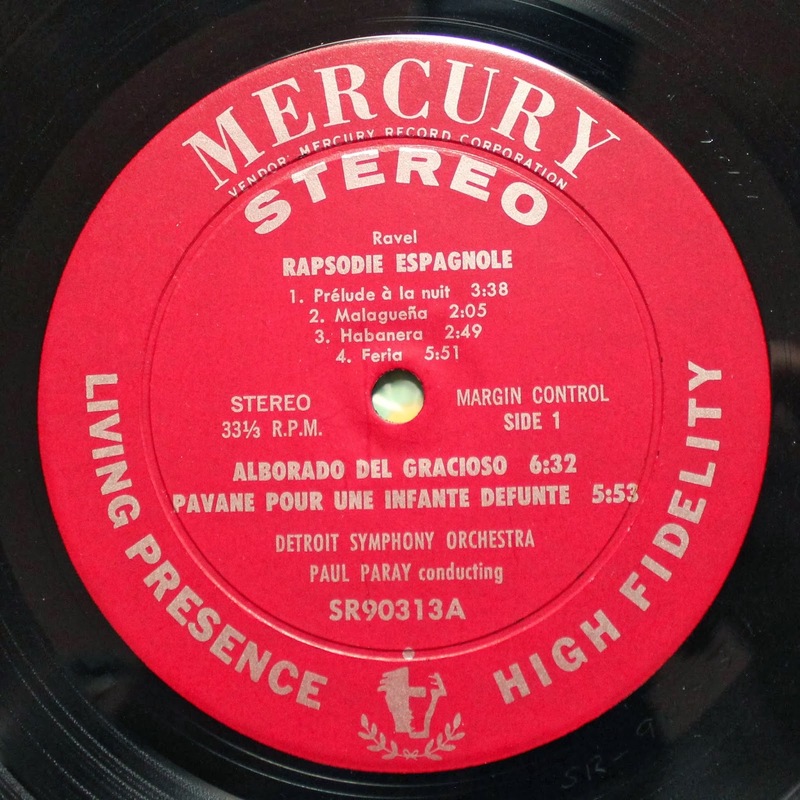 In the final analysis, Mercury is a minor label despite the love heaped on it by some audiophile writers. Bass control is not great which really limits Mercury's potential. AQL: There are a handful of really great Mercuries, but most of the rest are average. I mean this with no disrespect to the pioneers of the label who really worked hard to maintain the standards of the label, but compared to the best out there, only select entries in the Mercury catalog stand up to the competition. Those that do, though, are really something. Many of the recordings of Dorati and the LSO or Paray and the Detroit Symphony are very good to excellent. Take SR 90313, a longtime TAS list contender and probably my favorite Mercury. You'll be hard pressed to find a more dynamic, more natural sounding record of this French music, and that is not even mentioning the interpretation. What also set Mercury apart from the rest in the 50s-60s was their dedication to recording American repertoire. I've really enjoyed some of the recordings of Howard Hanson and the Eastman-Rochester orchestra. 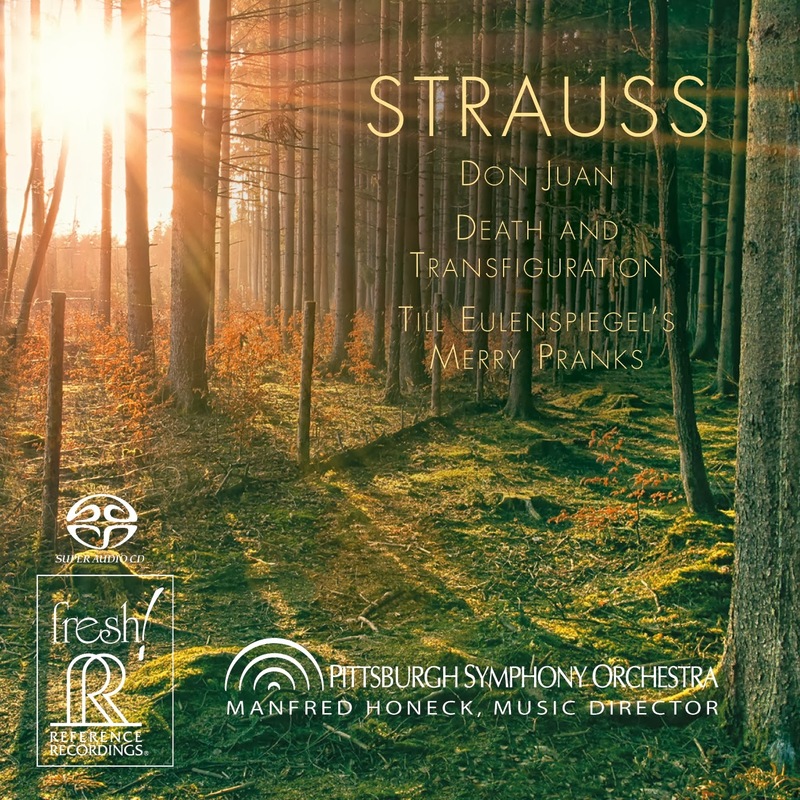 Not that these recordings are superb audiophile quality -- some of them are -- but they contain music that is worth exploring. I used to own 100+ Mercuries. I now own about 10 of what I think are the best. The CDs actually can sound much cleaner than the originals, so give them an audition, too. MW: I've not listened to the various Columbia pressings in some time, so no comment except that I always liked the recordings not of New York and Philadelphia which seemed to have the worst sound. AQL: Great performances, mediocre though sometimes good sound. 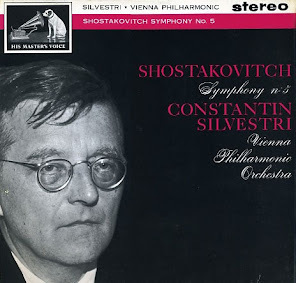 Columbia had an excellent lineup of performers and orchestras (Isaac Stern, Philippe Entremont, David Oistrakh, Glenn Gould, Bernstein and the NYPO, Walter and the CSO, Stravinsky and the CSO, Ormandy and the PO, Kostelanetz and the -- oops, how did that get in there?) but somehow their engineering didn't seem to match the caliber of RCA and Mercury in the US or any of the European labels. 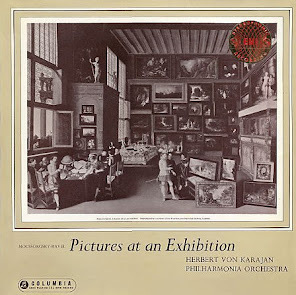 Many of the recordings have a more immediate presentation without the natural hall ambience that made many of the golden era classical recordings, well, golden. This may have been an issue with recording venue, but I suspect that microphone placement also played a role here. The chamber music recordings don't suffer from this problem quite as much as the orchestral ones. That being said, there are a few choice picks. The Bruno Walter Beethoven symphonies are rather nice, especially in their 6-eye incarnation, and the Pastoral has longtime been a TAS list favorite. As mentioned earlier, many of these were issued on Philips label and currently sell for a lot more. They are not better sounding, so don't be fooled. AQL: Need more experience here, but I've got a few on my shelf that are recent purchases that I need to sample. MW: The later Vox are of some interest particularly the Vox Boxes. 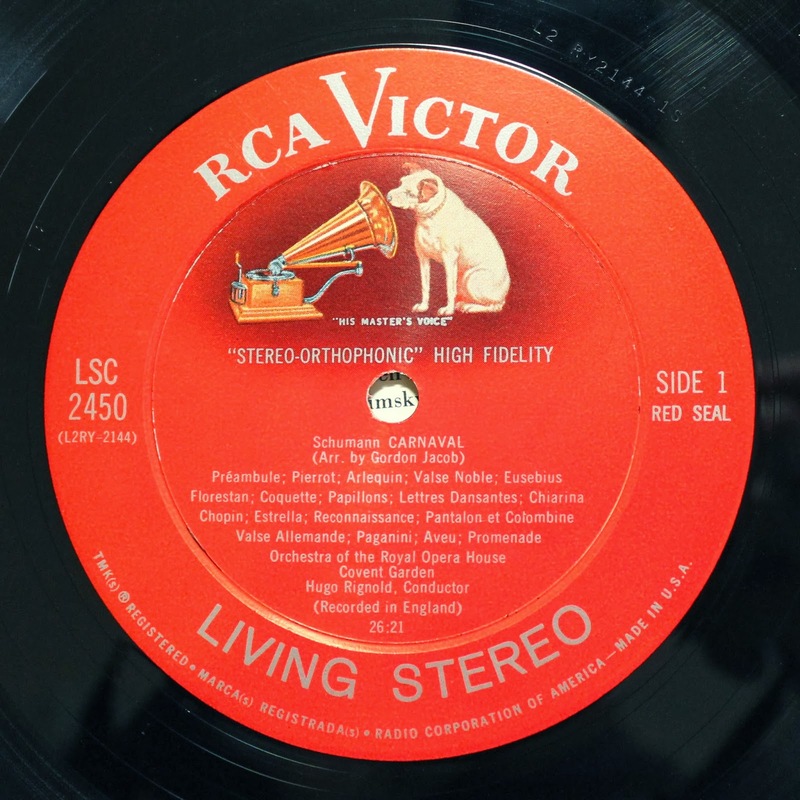 Dr. Rudolph Van Gelder even did the pressings on the early VOX (nice, euphonic, tubey bass). The last pressings have some surface issues, but this reviewer needs to dig through for the Aubort/Nickrenz recording team records and see what they can do. Reissued on reference recordings mastercut series which I'd like to hear. AQL: Some of these are the hidden gems of the classical music world. Many if not most of them were done of lesser known artists and ensembles, but that's okay. Everyone needs a chance to shine. Some of Alfred Brendel's earliest recordings were for Vox before he made it to the limelight and then was picked up by Philips. I was very surprised to see RVG's name on these recordings, especially since I always associated him with the legendary Blue Note and Prestige recordings. He apparently did some of Voxes chamber music and solo recordings. I haven't heard many of these, but many of them are in mono. 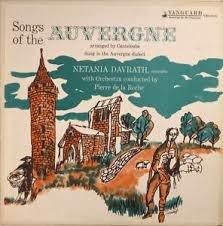 The ones to explore here are the Aubort/Nickrenz albums of the 1970s. Case in point: the Skrowaczewski recordings with the Minnesota Orchestra of the Ravel complete orchestral works are perhaps THE most natural sounding recordings of these works that I have ever head. Not to mention that they have huge dynamics and superb clarity. I got my boxed set for $11 on Ebay 6 months ago and have never looked back. These are bargains. MW: Generally not good, but I need to peruse the collection some more. 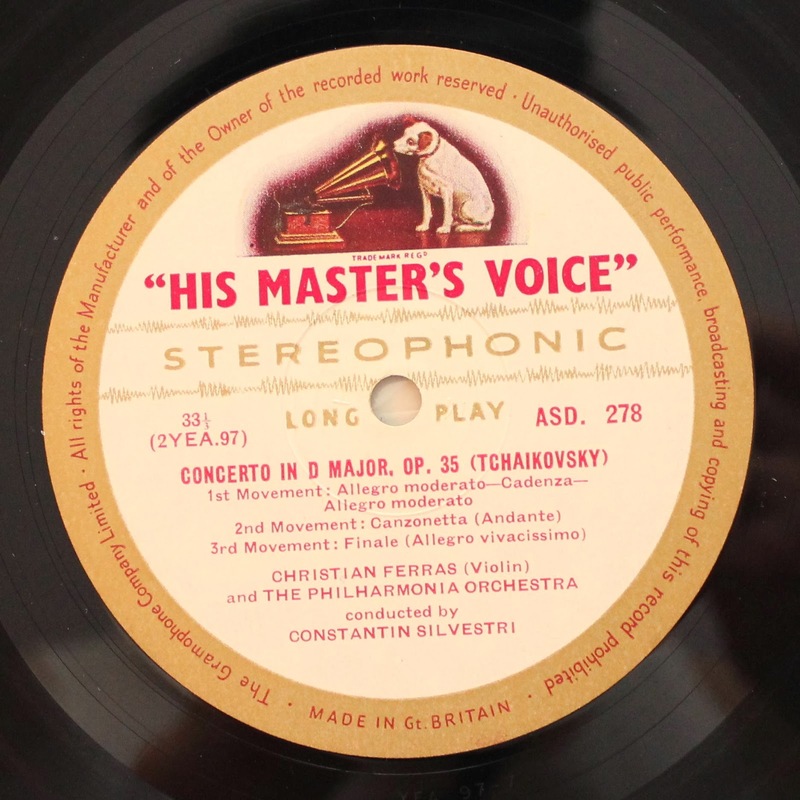 The prolific later pressings had polished stampers which reduces lp noise, but also seemed to polish away treble detail. Early pressings are interesting and hard to find, but the few I have are only very good at best. AQL: Some of the DGs are great. They also recorded lots of great artists and conductors. Karajan and the BPO. Fricsay. Bohm. Jochum. 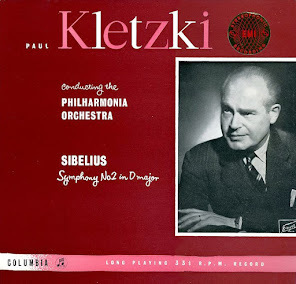 Kubelik. Ferras. Kempff. Schneiderhan. Fournier. Amadeus Quartet. Argerich. Trio di Trieste. Performances really shine. No one will argue with the quality and intensity of Mravinsky's recording of Tchaikovsky's last three symphonies on DG. Sound quality, though, is highly variable. I haven't exactly noticed that the "Tulips" early pressings sound superior to the thinner vinyl reissues. In fact, the reissues often sound better -- cleaner, less surface noise, no distortion. There can often be significant distortion on the early DG LPs. One recurring problem that I have also encountered is their noisy surfaces. Not sure why exactly, and even after cleaning on a VPI, many of them still have more static pops than I would expect for a near mint looking record. 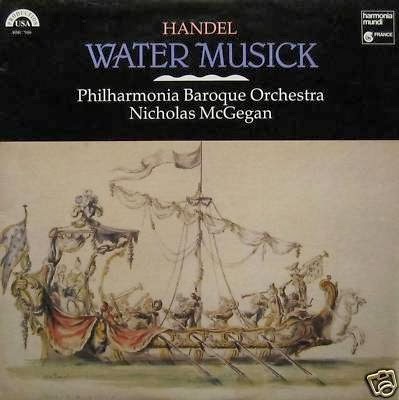 MW: I got a relisten in to an early Nonesuch the last few days. 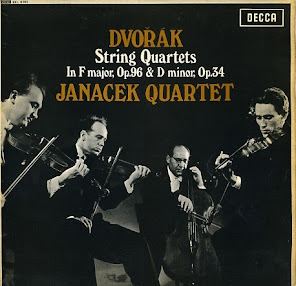 Superb harmonics if a tad aggressive in the treble (American Decca pressing). Hints of decent noise floor performance and utterly quiet virgin vinyl surfaces. 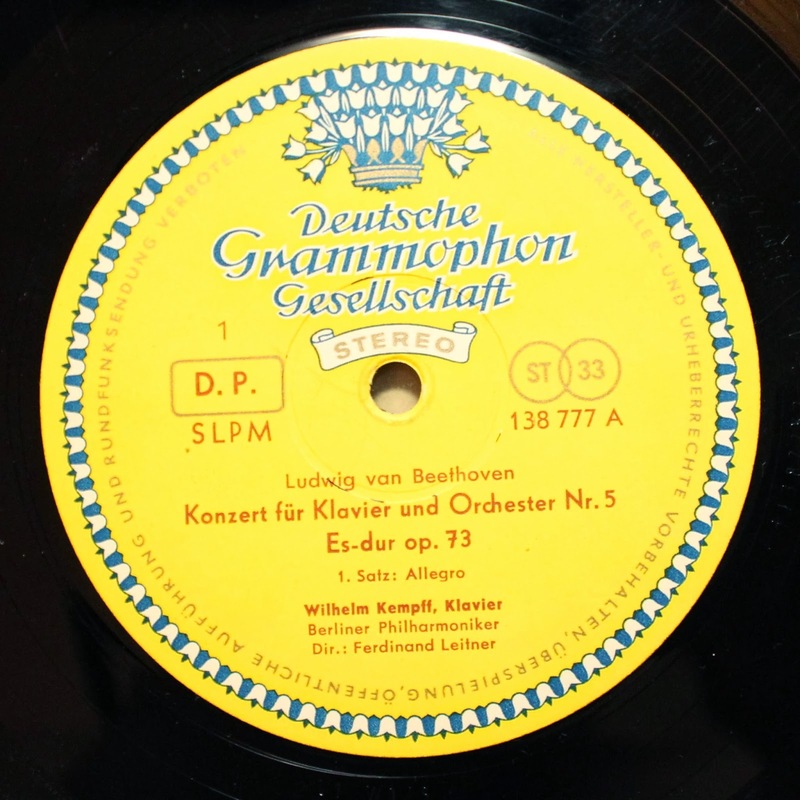 The later pressing were done by Robert Ludwig and latest ones by Masterdisk. I am due to peruse these as some of the later work might have strong noise floor performance. Of course, this label has very interesting material. AQL: MW has got me beat here. I just don't own many of these, but that is more due to ignorance than choice. MW: An audiophile label that has had enough classical output for a paragraph here. The later pressings were done with an updated version of the mobile fidelity Stan Ricker equipment. They have strong bass and control, but noise floor is not quite there. Perhaps a few too many integrated circuits have cooled the sound. Reference recently started putting out records again and these new pressings have unbelievable bass control and dynamics. I don't own one, but I'll try to have a listen. These and I think the later Analog production releases are closely related. Both have huge quantities of low tight bass that is impressive. The earlier Reference LPs use a variety of pressing technology. 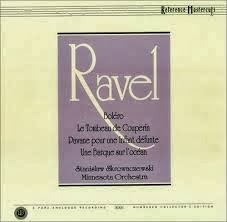 My favorites are the Nojima plays Ravel and the Menotti/Barber Violin Concertos (Ricci!). These have a very natural sound reminiscent of some of the better attributes of RCA and Decca's best. AQL: I have not heard the LPs, but the CDs have exemplary, often demonstration quality sound. Hopefully I've not missed a significant label (comment and I'll add them). I apologize for the somewhat haphazard nature, but my system has been evolving in leaps and bounds recently so it has made it hard to make definitive statements, let alone proper LP sonic ratings. The recent black gate upgrades are already half broken in (some used caps in the mix) and the results are so good that I am accelerating my planned upgrade schedule as clearly more black gates are in order. Of course this will continue my reviewing reticence. I'll update this posting as my thoughts evolve.